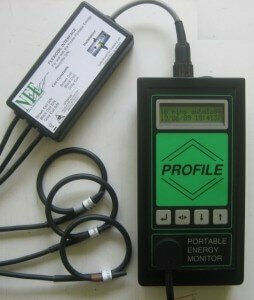 The Profile Portable Energy Recorder can be used to perform energy usage surveys on many types of three phase or single phase electrical installation. 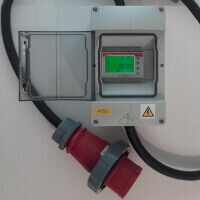 The Profile measures both the voltage & phase current and records period kW, kVAr, supply Volts, current, power factor and more into predetermined logging periods (30 min, 15 min, 5 min etc). 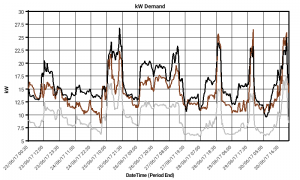 Survey data can be downloaded via the ProPower2 Windows software which also allows comprehensive analysis of the energy use on the surveyed circuit to be performed. 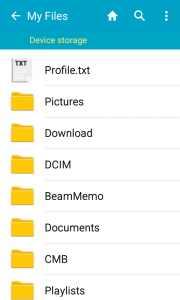 The Profile Data Download application allows anyone with an Android device (smart phone or tablet with Android version 4 or higher) to download survey data from their Profile Portable Energy Recorder via its USB connection using a suitable USB cable. 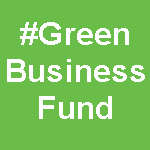 Providing it is safe to do so, the Profile can be left installed whilst downloading data and survey recording will not be interrupted. 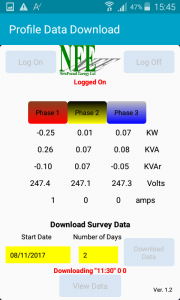 Once 'logged on' to the Profile, the Data Download app displays the live status of the connected circuit. 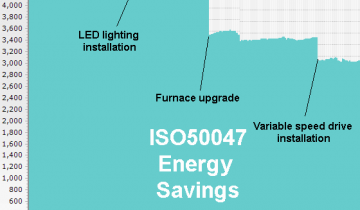 This screen displays the present kW, KVA, kVAr, Amps & Volts of the circuit being measured. 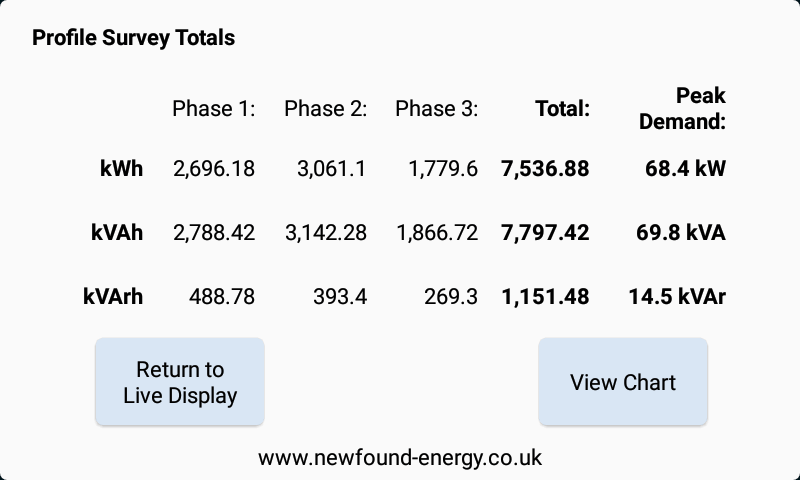 To download data, the survey start date is selected along with survey duration (the number of days). 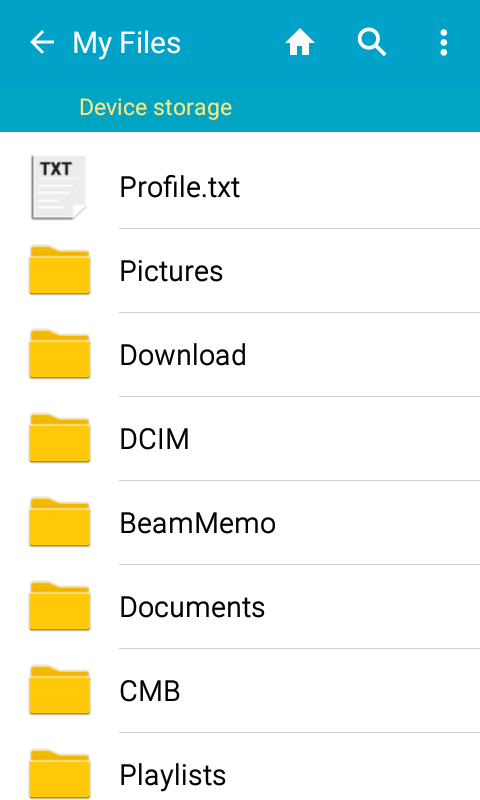 The previous one month's data is available for download via the Data Download App. 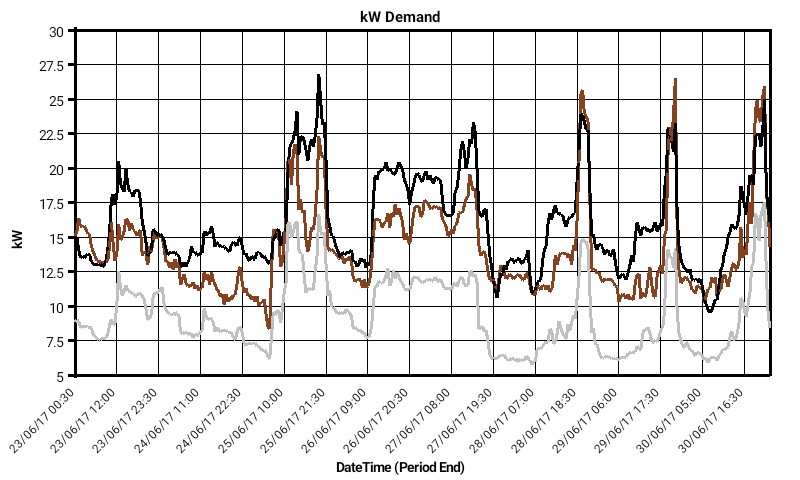 Downloaded survey data can also be analysed within the app; a summary report displays the survey total energy use & peak period demand whilst charts can be generated displaying kW, kVA, kVAr demand or period amps, volts & power factor. 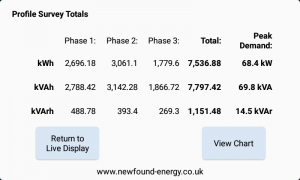 The downloaded survey data is saved to the device's memory as a simple text file that can also be transferred to a Windows PC or laptop for analysis within the Profile’s ProPower 2 analysis software. 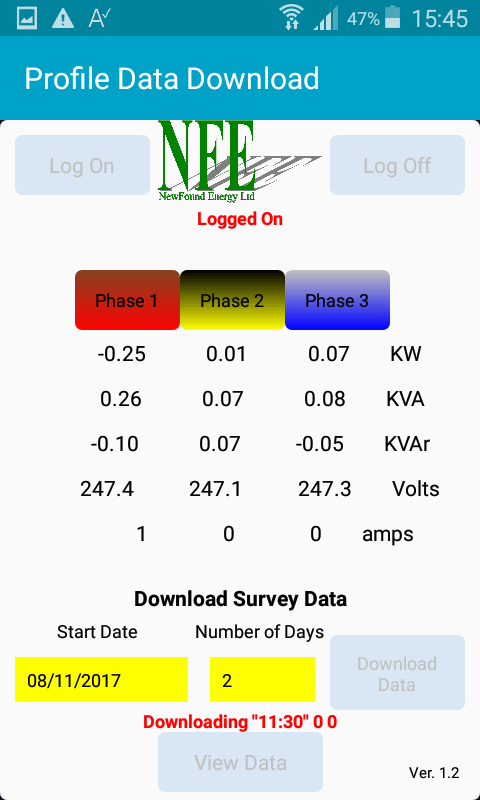 For more information on the Profile Data Download App, the Profile Portable Energy Recorder or any of our Energy Management, Monitoring and control systems please contact us.